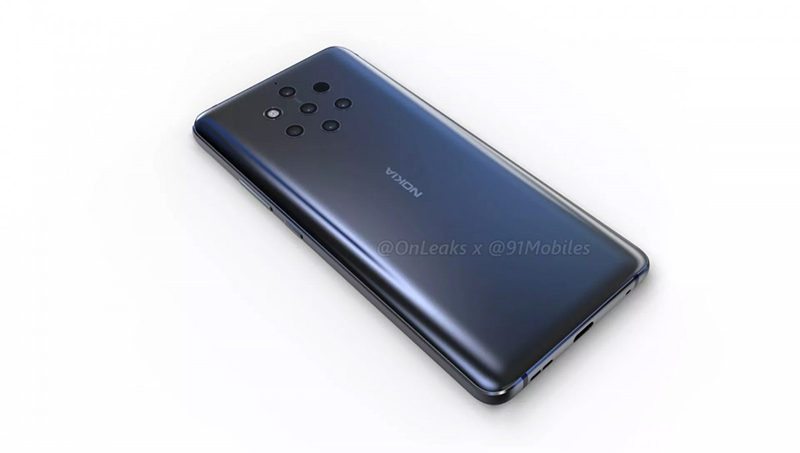 Nokia 9 renders with 5 cameras at the back appeared! Home / mobile / news / nokia / Nokia 9 renders with 5 cameras at the back appeared! 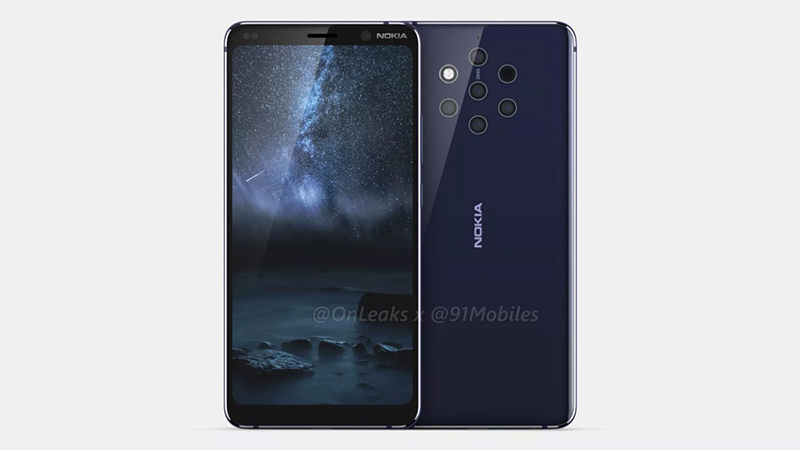 @OnLeaks and 91Mobiles just uploaded 5K renders and a 360-degree video of HMD Global's alleged Nokia 9 flagship. Not 1, not 2, not 3, but 5 cameras at the back in total! The highlight of the renders and video uploaded is the camera setup of the phone. The possible Nokia 9 will come with a total of 5 cameras at the back. It is simply more than the 3 cameras of the Mate 20 Pro and the 4 cameras of the Samsung Galaxy A9 (2018). The cameras has the ZEISS label. But, we do not know yet if it'll also go with the PureView branding yet. It wasn't on this render and the alleged prototype that was leaked last September. The functions of the cameras are still a mystery as well. Maybe it could come with telephoto for zoom, monochrome for black and white images, color sensor, depth (background blur), ultra wide-angle, and multiple aperture lenses. The phone is said to feature a 3D glass back design and 5.9-inch 18:9 screen with QHD+ resolution and no notch. It could also be powered by the SD845 SoC, 8GB RAM, 128GB storage, 4,150mAh battery, USB Type-C port, wireless charging, and 3 microphones. But, there's no 3.5 mm headphone jack and fingerprint scanner this time. We also hope that it will go with water and dust resistance like the Sirocco and a newer-gen 7nm chip instead of the ageing SD845. It measures at 155 x 75 x 7.9 mm. There is no word regarding its official price and availability. Let's hope that HMD Global will make it official soon.